This Excel for Power User Course comes with 5 hours of HD video tutorials and Lifetime Access. 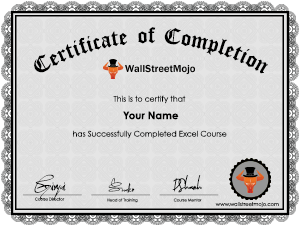 Along with this professionally made training program, you get verifiable certificates for this Excel course! This Excel for Power User Course will blow your mind. The course is designed for those who have been using excel for their work activities, and want to become smart in using functions without any code or programming language. Usage of excel has been very pervasive these days. Almost every profession requires usage of spread-sheet on a high or low level. Pick any profession. Let’s say human resource. These professionals need to use excel to track the performance metrics of the workers and employees. Pick marketing professionals. 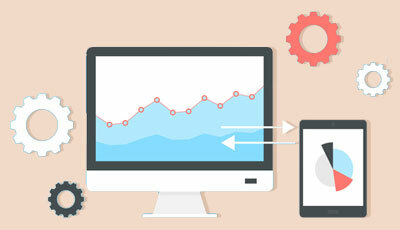 They need excel to track the ROI, the factors that generate better ROI and so on. Even store keepers need to maintain an excel sheet to see how many products are being sold and when to bring in new supplies. If you’re new to excel and you’re feeling overwhelmed because your profession demands it in an advanced level, do this power excel training course. And you don’t need to look at any other course whatsoever. Before we jump in to talk about the Excel for Power User Training Course, we will first see few functions in excel, that we all need to know at a basic level. Course Validity You get Lifetime Access. 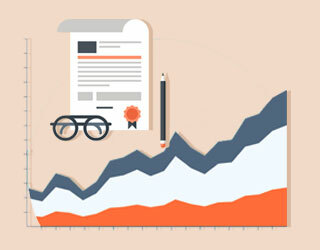 No limit on the number of times you can view this credit risk course. Eligibility No eligibility as such. You should have keen interest in learning. Verifiable Certificates? Yes, these are verifiable certificates. This means that you will be provided with a unique URL/Link which you can include in your resume/Linkedin profile for online verification. ‘SUM’ function: This is one of the most common functions in excel. To get the total of 100 or more numbers, it’s impossible to select each one and total it to get the result. By using this function, you can quickly get the result of the summation. After writing ‘= SUM ()’, all you need to do is to select all the numbers that you want to add and put them within the first brackets. Excel will give you the result instantly. ‘AVERAGE’ function: This is similar to the previous function. All you need to do to get the average of 100 or more numbers is to use the function ‘= AVERAGE ()’ and select all the numbers and put them within the first brackets. ‘MIN’ and ‘MAX’ function: Sometimes, it gets difficult to find out the minimum or maximum number among all. To find that out all you need to do is to use the function ‘= MIN ()’ or ‘= MAX ()’ and put all the numbers within the brackets. ‘SQRT’ function: To do the square root of a number (let’s say a huge number like 989987879), you can use ‘SQRT’ function. All you need to do is to write – ‘= SQRT (989987879)’ and excel will give you the square root immediately. You will learn a lot more in the course. We have talked about these basic functions to give you an overview of what you need to know before doing this Excel for Power User Course. 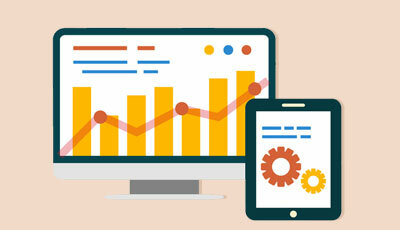 If you don’t have any knowledge in excel, we urge you to try this basic functions and more by opening an excel sheet and see whether you can understand; because in the Excel for Power User Course we will talk about some advanced functions which are much more useful and used quite often. In this section, first we will talk about the curriculum; and then we will provide some additional information which can be critical for you to know before you do this Excel for Power User Course. Introduction: This is the first segment of the course. In this section, you will get familiar with the course material. 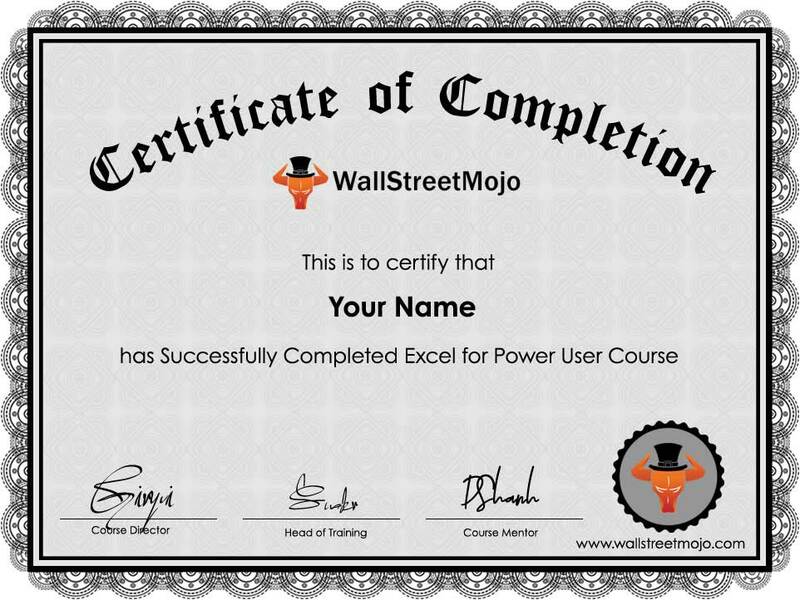 First, you will get to know what the Excel for Power User Course is all about! 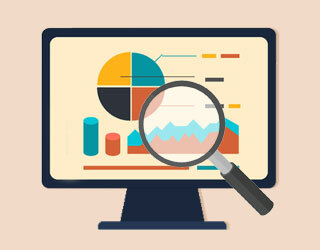 Then, the instructor will take you through a brief overview of analysing data to make business decisions. Function: In this section, you will learn about four functions. First, you will learn the future value function. Second, you will learn the PMT function. Third, you will understand quick analysis. And lastly, you will learn the rate function. Pivot Tables: If you have been working in excel, you would already know how valuable pivot tables are. In this section, you will first learn about the pivot tables. Then the instructor will teach you how to create custom groups in pivot table. After that you will learn how to set conditional formatting in great detail. Evaluate: The most important thing of this section is that it would teach you how to do troubleshooting and how to enhance professional workbooks. In this section, you will also learn about name range and data set. Finally, you will get to understand the key performance indicator (KPI) in excel. Date Format and Time Format: In this section, first you will get an overview of the analysis of data with function. Then you will learn about the date and time format. This Excel for Power User Course covers everything; all you need to do is to pay attention and practise on your own as much as you can. Statement and VLookup: There are many working professionals who have learned the VLookup the hard way. But if you’re yet to learn VLookup, this section will get you covered. In this section, you will learn three important things. First, you will learn about ‘nested if statement’ in excel. Then, you will go through ‘count ifs and sum ifs’ in excel. Finally, you will learn VLookup. Future Value Function: This section is all about future value function. First, you will learn about what future value is. Then, you will go through a ‘what if’ analysis. Then you would learn how to create scenario in excel. Finally, you will learn about creating goal seek in excel and the instructor will also teach you how to use solver tool in excel. 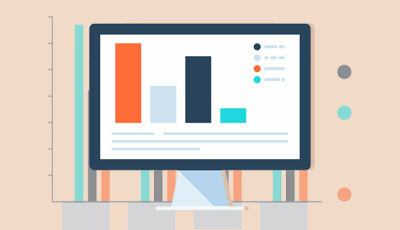 Business Information: Many companies use excel to keep track of business information and to periodically look at important factors of business. In this segment, you will learn about the business information and what it actually means. Then you will learn to create a dashboard of sales, how you can create hyperlinks for sales, and you will also learn the profit and loss of sales. Database information: In this segment, you will start learning how to formulate the design from database information. Then you will learn working with data table in power excel. You will also get to understand how to add new column in data table and how to use excel function in the same. Finally, you will also learn to work with data filtering and data subtotal group and ungroup. Data Comparison and Filter: In this short segment, you will learn about data comparison in power excel. You will also learn about data filter and data slicer. Pivot Chart and Power View: This is the last segment of the course. In this segment you will first learn about pivot chart and power view in power excel. Finally, you will learn about working with macros and the instructor will also take you through an example of macros. This course can be done by anybody who wants to. You don’t need to have any degree/qualification to do this power excel training. This course can be done under 10 hours. If we add up a few hours of practise, then you can finish this course within one or two weekends. This Excel for Power User Course can be done on any device that you have. You can do it on a smart phone or a tablet or a laptop. This course offers you a lot of flexibility and convenience. You can do this Excel for Power User Course from anywhere, at any time you choose. Willingness to learn power excel: This is a course for serious students. If you really want to learn advanced excel and want to master it, you must not miss this power excel training. Ultimately all comes down to your willingness and commitment. Basic knowledge in excel: To do this course, you don’t need to have any additional qualification. All you need is to know the basics of excel. If you have the basic knowledge, it would be good to start this course. A device and an internet connection: To do this power excel training, you can use your smart phone. You need to have an internet connection and on your smart phone you can do the entire course. Otherwise, you also can use a tablet or a laptop. If you want, you can do this course offline as well. All you need to do is to make sure that you have subscribed for the annual membership to view the entire course offline. Students of commerce: As students, you have an advantage. If you can learn this Power excel training right away, your employability will increase a lot more. And if you would be put in a position where you need to work on excel all day, every day, you would be ready for it quite early. This power excel training is recommended especially for commerce students; but even students from other disciplines can do the course as well. Working professionals who need to use excel every day: If you’re someone who needs to work on excel day in and day out, this power excel course would be the best course you would ever do. You will not only learn the advanced functions; you will also know how to use pivot table, how to use VLookup, and you would also learn to use database information, future value function etc. Entrepreneurs who have just started out: In the beginning of an entrepreneur’s journey, you need to do all by yourself. You need to take care of the finance, pitch your idea to VCs and also maintain the spread-sheet. This power excel training can turn out to be a valuable resource for you. Why should I do this power excel training course? This course can be done under 10 hours of your time. You would be able to learn all the advanced functions just by watching the videos and practising on your own. You can do this course on any device. You can do this course from anywhere, at any time you would like to do. I’m not from commerce background. Should I do this power excel training? Yes, if you feel that learning advanced excel would be a great addition to your professional tool-kit. No, if you feel that you would never use excel at all in your professional life (this may not be true in reality). I already use excel on daily basis. Would I learn anything new from this Power excel training course? You would definitely learn something new in this course. The purpose of this power excel training is to show you smart and time-saving ways to use excel. It can also turn out to be a great refresher course for you. Add tremendous value to your professional life: This power excel training will add tremendous value to your professional life. Ask any marketing or finance guy or even a HR gal. They will tell you how excel is one of the most important tools they use all day. And this course is the goldmine of advanced functions. Won’t it add magnificent value? We bet it would. You would be way ahead of your peers: By doing this power excel training course, you would be able to use excel like a pro. And as a result, you would be much productive and efficient in your work. I’m blown away by this Power excel training. In this single excel course, I got everything – especially those areas where I have been struggling a lot. This course has brought my smile back. I’m more confident now in my professional life. I feel every professional should do this course. I have been working in excel all my life. My aunt who also runs a business asked me to do this course. I was skeptical because I couldn’t fathom what an excel course could teach me that I don’t know. After doing this course, I am honestly shocked. I didn’t know 50% of the material. I highly recommend this Power excel training course to experienced professionals who seem to have all the answers like me about excel. Today I’m super-excited because I got my first job. When my profile got shortlisted for the job, I panicked because I didn’t know much of excel. I searched the net, found this Power excel training course, sat on a weekend, and finished it. My employer got so impressed about my knowledge in excel that I can’t tell them what I was just two weeks ago. Look what a practical course can do for your professional life. Please don’t miss out on this one. The course is focused mainly on pivot tables. If you have a large data set and you want to analyse it, Pivot table will come handy and is an extremely strong tool. The course is well designed and explains all the features and uses of pivot table in a nice way. I would like to recommend it for anyone looking to learn data analysis.